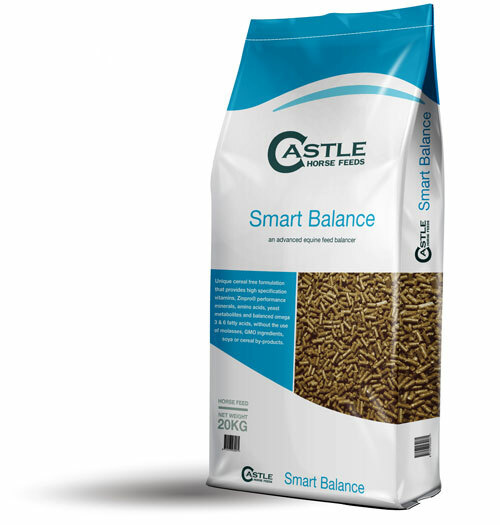 The advanced specification of Smart Balance supports muscle development, immunity, hoof, skin and coat quality, digestion and temperament. It provides optimal levels of vitamins, minerals and micronutrients to support health and performance, yet its low in starch and sugar, made without cereals or cereal by-products, is Soya free contains non GMO ingredients AND is molasses free! For horses whose energy requirements are met by forage alone, Smart Balance can be fed as the sole concentrate, to provide optimum levels of micronutrients in the diet. 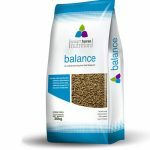 For horses whose energy and protein needs are a little higher, Smart Balance acts as the foundation to your Horse’s Diet, with the addition of Smart Müesli, Smart Linseed and chaff or beet pulp according to your horse’s individual needs. Grass meal, Micronised Peas, Micronised Linseed, Unmolassed Beet Pulp, Vitamins, Minerals, XPCLS Yeast. 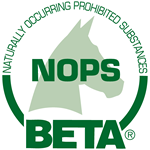 100g per 100Kg of horse’s weight. For example, a 500Kg horse will require 500g per day.